This post’s title, which is something different because it’s in German, means “something different.” That applies to the post’s photograph, which is also something different in these pages because it doesn’t show nature (at least not unless you consider geometry a part of nature). Oh well, I hope you won’t mind if once in a while I jump out of my box. 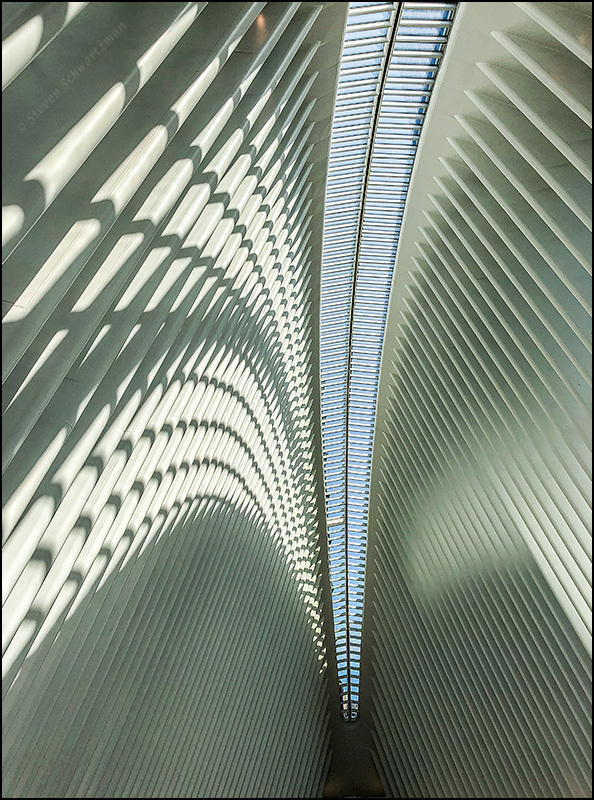 The subject, which I photographed with an iPhone at the World Trade Center site in lower Manhattan on May 29th, is the Oculus, designed by Spanish-born architect Santiago Calatrava.